2013 and is the second largest force in the UK after the Metropolitan Police, responsible for policing an area of 28,000 sq miles. This order for new Ford vehicles boosts their total fleet size to 3,500. "We chose from vehicles approved by the National Association of Police Fleet Managers and after evaluation of the whole-life costs of the various models available, Ford won the contract," said Tony Chalk, Police Scotland Transport Manager. "The creation of Police Scotland has meant the centralisation of all purchasing for the police across the country, which improves standardisation and helps to reduce costs." Terry Adams, Ford's Direct Sales Manager added, "From the production line the Ford vehicles are sent to our 'one-stop shop' facility, Ford SVP, in Essex, where they are stripped and equipped to the force's requirements - everything from livery, sirens and blue lights through to specialised equipment - and then they are delivered to the customer ready for action. 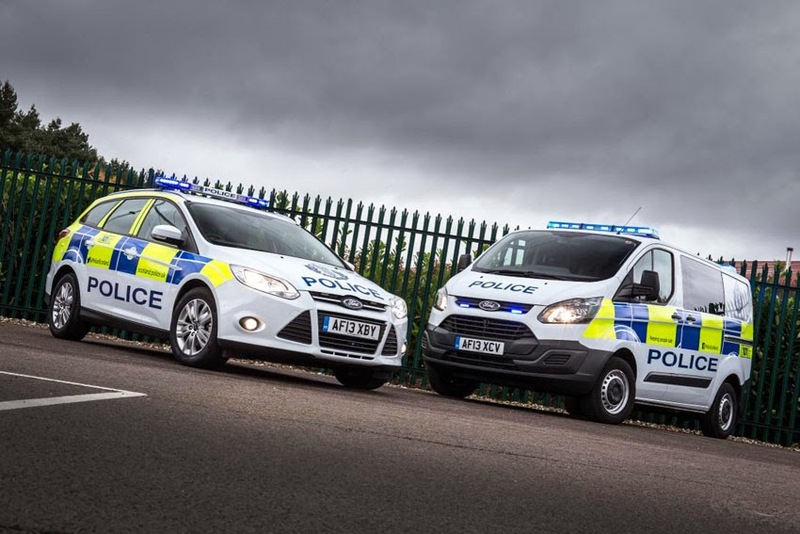 "Ford has supplied vehicles to the various regional police forces across Scotland for many years, and we welcome the opportunity and benefits offered by the centralised purchasing decisions."